From the balcony of the historic Gillette Castle, the views of the Connecticut River are spectacular, but there are only a few trail options. Trails are accessible year-round, though the castle is only open from Memorial Day through Columbus Day. There are no fees for parking or visiting the park, but there is a fee to tour the castle. 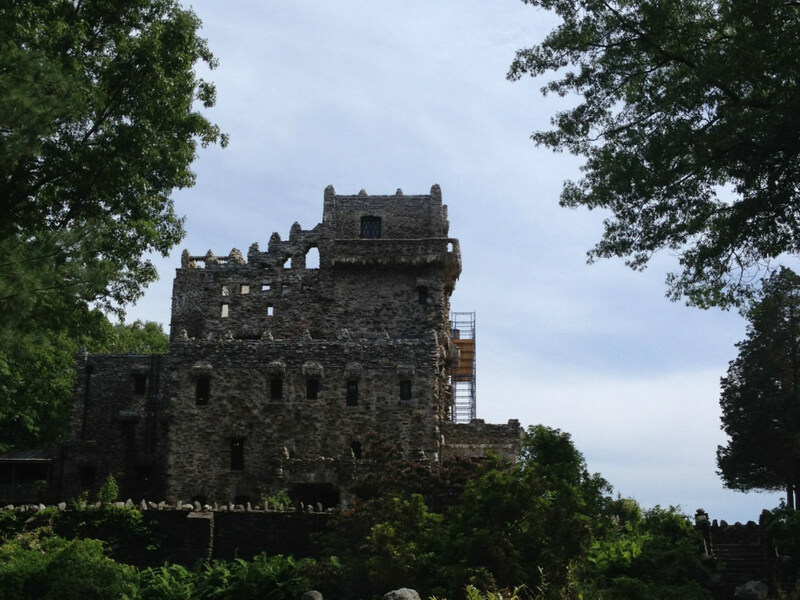 For hiking history buffs, the castle alone is worth the drive from New Haven. American actor William Gillette, best known for his role as Sherlock Holmes, designed the impressive stone structure overlooking the river, which was completed in 1919. The 1.3-mile, out-and-back trail is accessible year-round, though the 27-room castle is only open from Memorial Day through Columbus Day for tours. The view of the Connecticut River any time of the year is lovely—especially when it’s from the steps of a castle. Start your hike at the northernmost trailhead at the main parking lot and head north. Within the first tenth of a mile, you’ll pass a small pond and wind past several picnic areas. Follow the path north until you see the historical railroad tunnel on your left. After a walk around the property, stepping over and beside igneous and metamorphic rock formations, disappear into the medieval world Gillette built from the very rocks found in the surrounding forests. The stairs by the main entrance are made from schist, a metamorphic rock with frequent red garnet crystals, Connecticut’s state mineral. Any and all skill levels can enjoy the trails at Gillette Castle State Park. 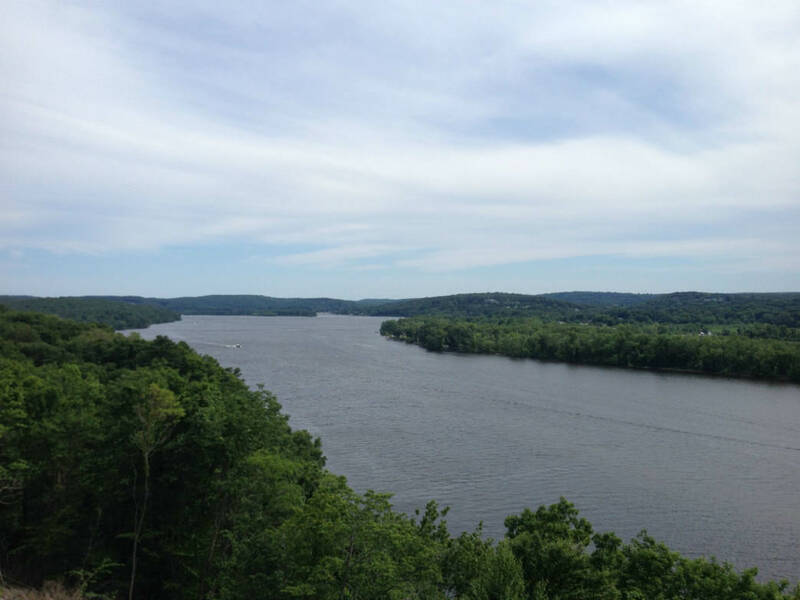 Though it isn’t ideal for those looking for a strenuous hike, the trail from the main parking lot offer beautiful views of the Connecticut River and some of the very sights Gillette enjoyed on his strolls on the property. Gillette’s 3-mile gauge railroad, which he used to transport guests around the property, is still visible from most of the trail, adding a layer of fun for the kids. From Route 9N take Exit 6 or 7 to reach the main parking lot by car in East Haddam. 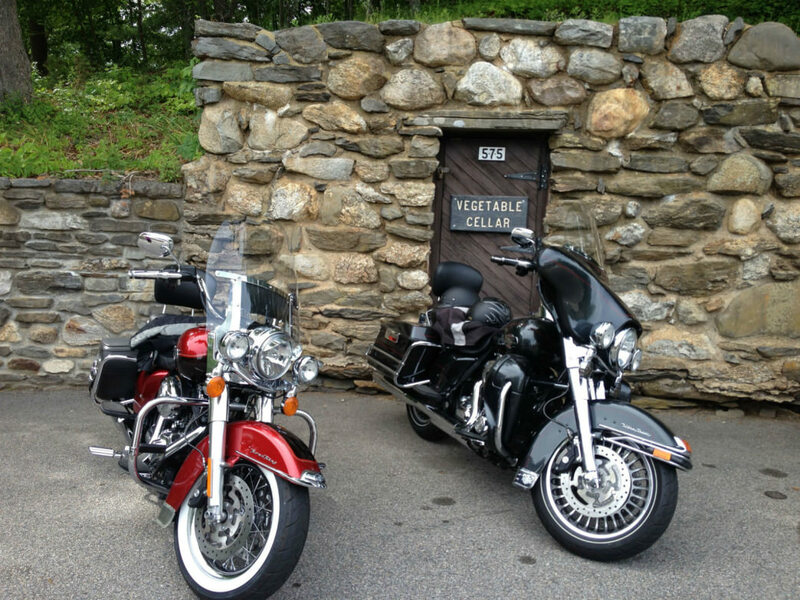 If you’re looking for an added layer of adventure to your day, take Exit 6 and follow park signs to hop a ride on the Chester-Hadlyme ferry across the Connecticut River to approach the castle from the west. The ferry operates spring through fall. The park is open 8:00 am to sunset, year round, though the castle is closed in the winter. Tickets are available for tours of the castle’s interior between 10 a.m. and 5 p.m. weekdays. The park office adjacent to the castle offers concessions with a lovely deck overlooking the river.